The Hellenic-American Cultural Foundation presented in concert The Olympus Piano Trio – Pianist Konstantine Valianatos, Violinist Regi Papa, and Cellist Benjamin Capps. The program featured music from four different countries – an international sampling of works for piano trio: Russian, French, Greek and German. In addition to pieces by Mendelssohn, Rachmaninoff and Ravel, the program included the New York premier of Christos Hatzis’ Odd World, a contemporary work with traditional Greek dance rhythms. A reception followed the performance. The Hellenic-American Cultural Foundation presented Dr. Joan R. Mertens of the Greek and Roman Department of The Metropolitan Museum of Art, who discussed the extraordinary interrelation of subject matter, shape, and execution that distinguishes Greek vases as works of art. Dr. Mertens has been a member of the Met’s curatorial staff since 1972, becoming curator in 1981, and is the author or co-author of over 60 publications, including her book, “How to Read Greek Vases” (2011). A reception with Dr. Mertens followed the discussion. The Hellenic-American Cultural Foundation presented George Tenet, who delivered the third lecture in the Peter T. Kourides Lecture Series on public service. 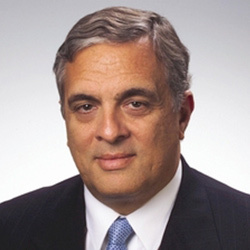 Mr. Tenet served as the 18th Director of Central Intelligence from 1997 to 2004. In this position, he led the U.S. intelligence community and presided over the daily activities of the Central Intelligence Agency. In December of 2004, President George W. Bush awarded Mr. Tenet the Presidential Medal of Freedom, the U.S.’s highest civilian honor. The lecture was held in the format of a “fireside chat”, led by Mike Emanuel, Chief Congressional Correspondent and Senior Political Correspondent for FOX News Channel. A reception with George Tenet followed the discussion. 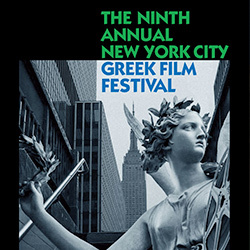 The Hellenic-American Cultural Foundation hosted a discussion on The Riddle of the Labyrinth by Margalit Fox, a journalist at The New York Times. Ms. Fox is the author of the acclaimed book, The Riddle of the Labyrinth, which recounts the history and individuals behind the deciphering of Linear B script, the earliest known form of writing of the Greek language, dating from as early as 1400 BC. A reception with Ms. Fox followed the discussion. The Hellenic-American Cultural Foundation, in conjunction with the Carnegie Council for Ethics in International Affairs, hosted a talk at the Council’s lecture theatre on the cultural implications of the rise of the extreme right in Greece. The speaker was Yannis Palaiologos, a leading Greek journalist, commentator and author who writes for Kathimerini newspaper. A reception with Mr. Palaiologos followed the talk.